Home / Baseball Tips / Coach Bill Seamon Reveals His Coaches Playbook! 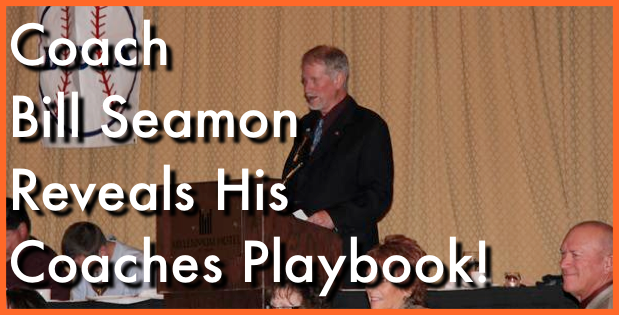 Coach Bill Seamon Reveals His Coaches Playbook! Many thanks to Bill Seamon for stopping by the AoB EXPERTS show to talk a little baseball with me and the Art of Baseball listeners! Bill has been part of the baseball community for a very long time so I’m very excited to share with all of you the impact he has had in the baseball world for over the past 30 years! Bill has also created a go-to guide for baseball coaches who want a stream-lined approach to teaching their players how to play the game of baseball the right way. Enjoy this AoB Experts episode and please feel free to leave a comment below if you have any questions.